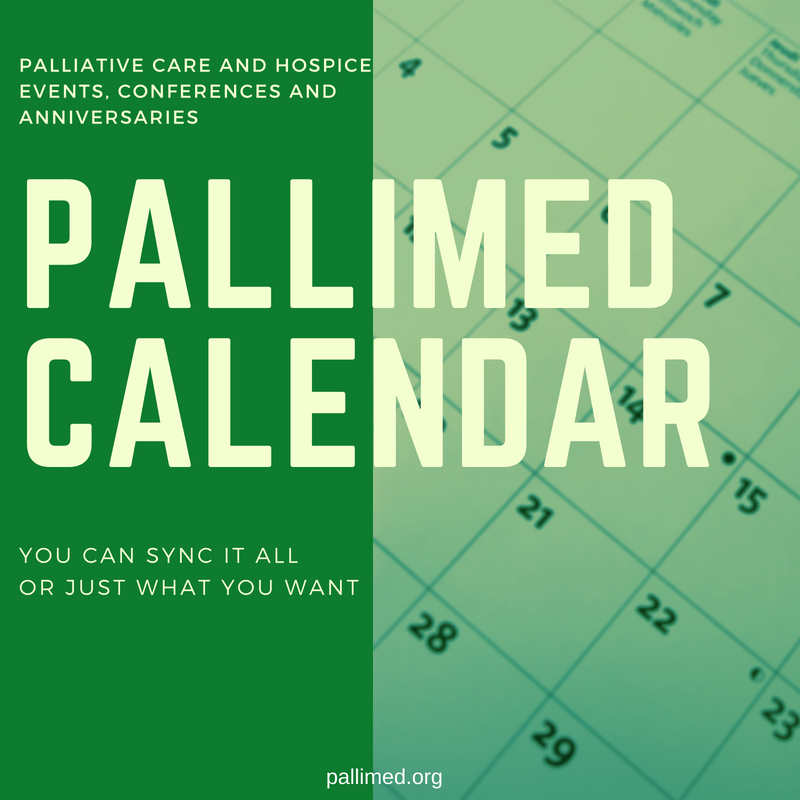 Most of the items on this calendar are focused on significant national or international conferences, but also include some historical events related to our field. Occassionally regional or local conferences may be included. You can sync this calendar with many dfferent software platforms and apps or just pick certain events to add to your calendar. This list of palliative care and hospice related events and conferences is maintained by Ishwaria Subbiah (@IshwariaMD), Allison Jordan (@doctorjordan), and Christian Sinclar (@ctsinclair). If you would like to help, have feedback or see an error, please contact us via Twitter.